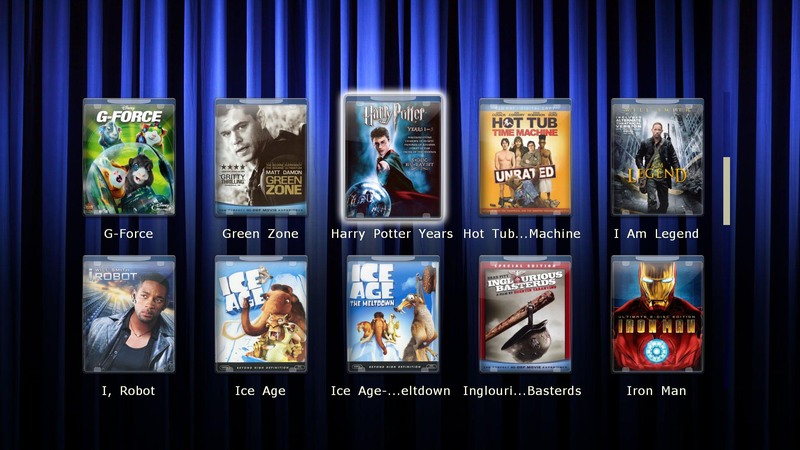 My Movies Collection Management and My Movies for Windows Home Server can be used to store an advanced meta-data index for the HDI Dune media players. 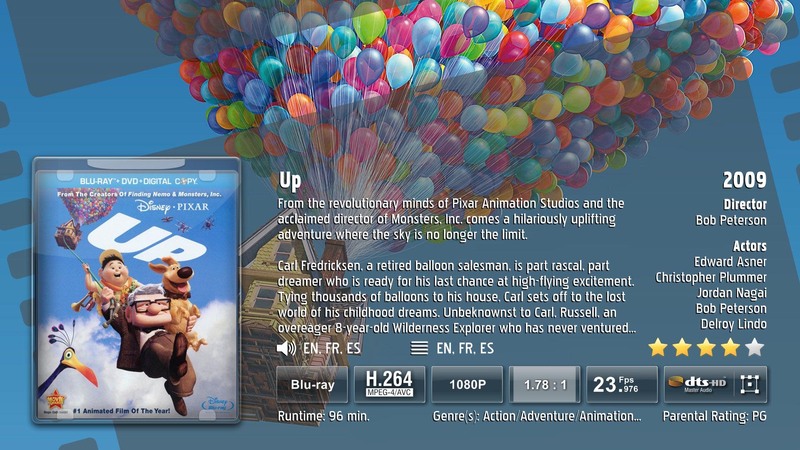 This allows you to browse your entire movie collection of both online (on storage) or offline (on disc media) titles. 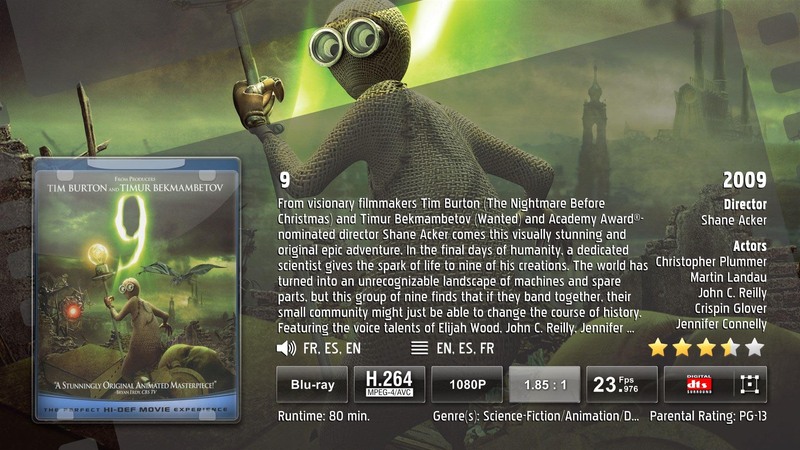 By allowing you to browse both online and offline titles though the same meta-data index, you can choose to place only part of your collection on online storage, while leaving other titles on the original discs - when you request playback of an offline (on disc media) title, you are simply prompted to insert the disc into the drive of the Dune. 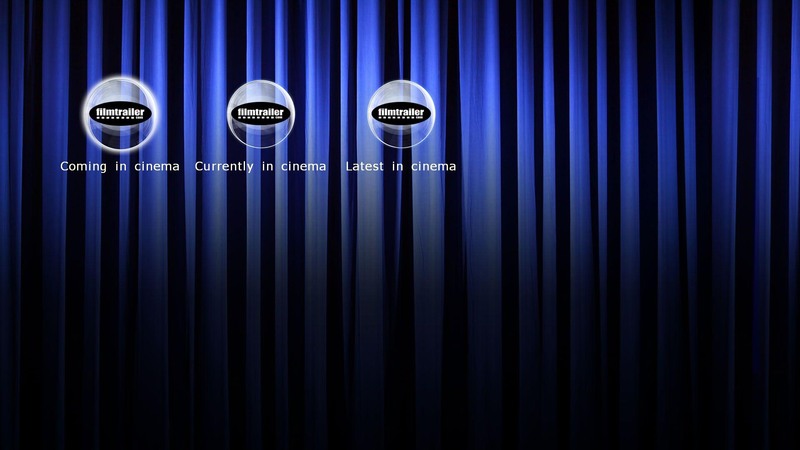 One of the advantages of using My Movies to store the meta-data from for Dune is the fact that you can store meta-data not only for the Dune, but for many other media players as well - you can therefore use the same collection for different device types should you have different device types in your household. Your collection can be browsed through a list of all your titles, in an alfabetical list, by genre, years, decades, parental ratings, running time or you can add your titles to personal categories of your own choice. As a bonus, the meta-data index also gives you access to a section containing movie trailers in movie theaters. The meta-data index created for the Dune players gives the full browsing functionality that the Collection Management program offers you to create, including grouping of titles in series and box sets, handling of multi-disc titles while displaying all of the advanced meta-data available on the title profiles downloaded from the My Movies WebService. My Movies can be used to index all media types including Blu-ray and DVD image files, Blu-ray BDMV folders, DVD VIDEO_TS folders, MKV, Xvid, DivX and all of the other media types the Dune player supports. 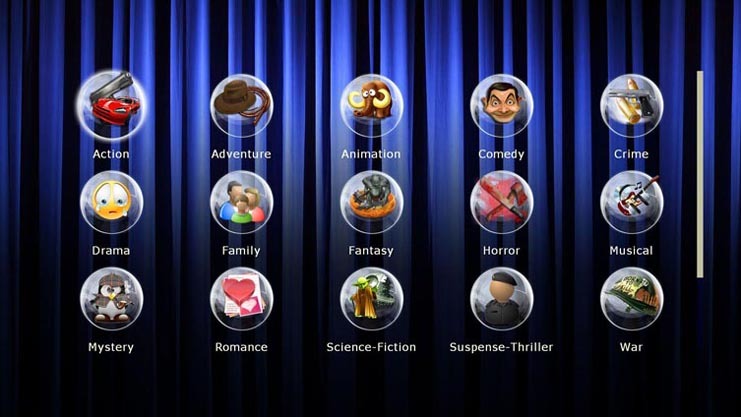 The software will read all details of the media and present to you on the movie details page, including information such as media type, video format, aspect ratio, frames per second and audio type. The meta-data index must be generated in full only the first time you enable the storage option for the Dune, and it will then automatically be updated with only the specific changes each time changes occur in your collection such titles being added, edited or removed from the collection. 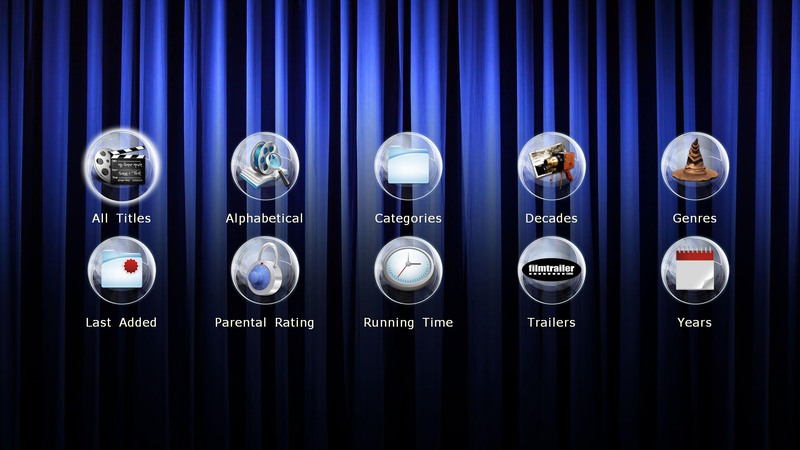 You can combine the usage of the meta-data index with the automatic indexing of your movie collection though the folder import and automatic folder monitoring included with the My Movies products, allowing you to index a full movie collection fast and easy. This guide will help you understand how the meta-data index for the Dune works, and it will guide you though the configuration of it. The Dune meta-data index created by My Movies will store a set of files for the Dune that besides containing the meta-data also contains references to the location of your online (on storage) titles, instructing the Dune from where it should play the various titles. Before you start adding your titles to the Collection Management program you therefore must decide if you would like to create and use the index for titles located on one or more servers or computers externally from the Dune, or if you would like to create and use the index for titles located on one or more harddrives that will be connected directly to the Dune. 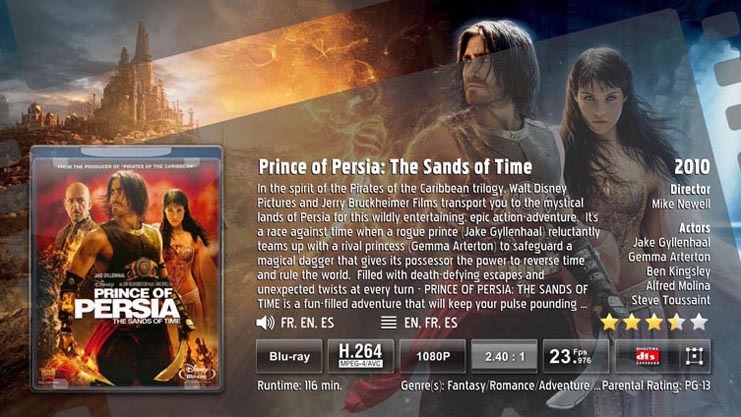 Users of My Movies for Windows Home Server does not need to have these considerations, as it is when the Home Server is used always expected that the Dune accesses the titles from the server. 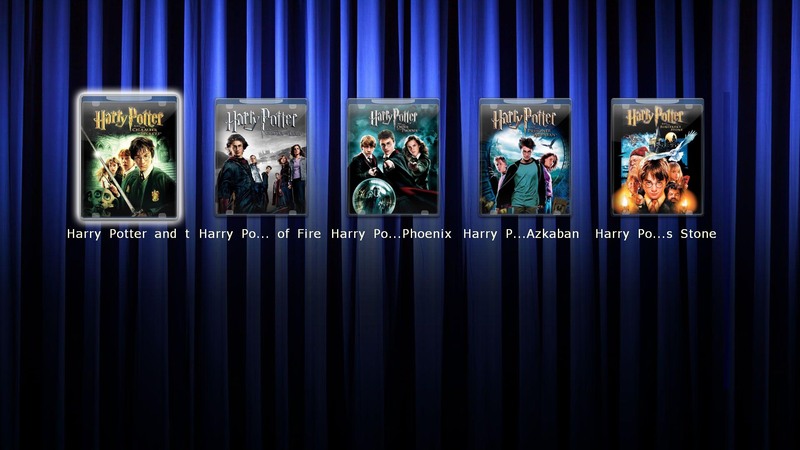 For titles that should be accessed externally from the Dune, you must use UNC paths when adding titles, weather this is when you import from folders, add a folder to be monitored by movie monitoring or when adding one or more titles to Collection Management manually. An UNC path is a network location referring to the server or computer where the titles are located, such as "\\server\share\Movie Title". This means that you should not in any situation use network drives - the network drives is not known by the Dune and it would therefore be unable to playback your titles. 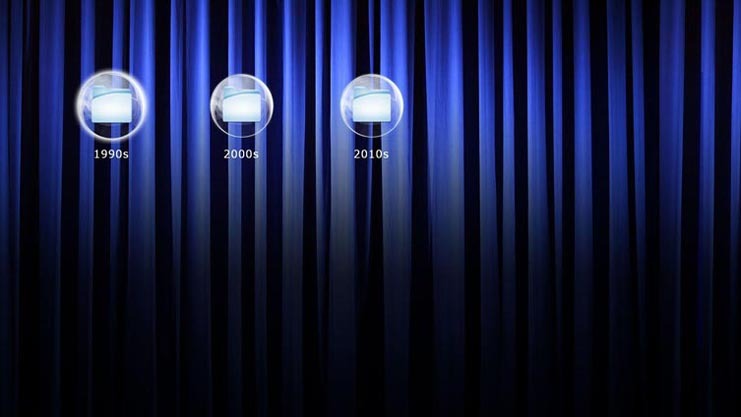 For titles that should be accessed from one or more harddrives connected directly to the Dune, you can either import the folders from the Dune directly though it's "\\Dune" network share, or you can connect the drives to the computer you are running the Collection Management program on, and add the titles from the Collection Management program from the drive directly, using the drive letter of the drive, such as X:\ where X is the drive letter of a drive connected to your computer. 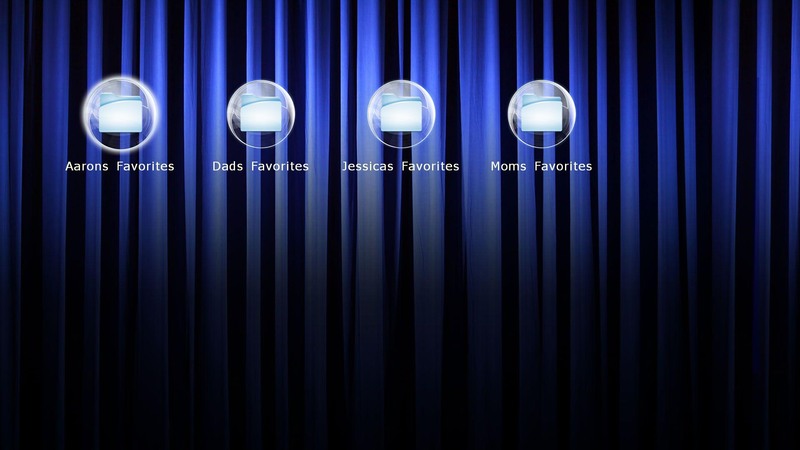 If you have multiple drives connected to the Dune, it is important that you add all of these to the computer at the same time when adding the titles to the Collection Management program - this ensures that each drive gets a seperate drive letter, which is required to instruct the Dune on where to locate the different titles. 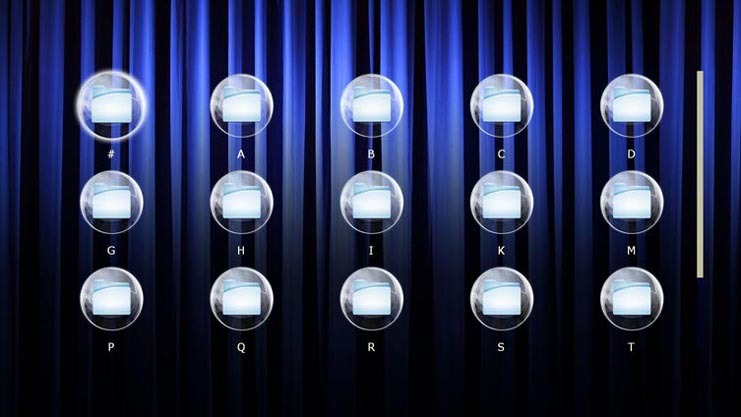 You will when operating with drives connected to the Dune be given the option to configure them as attached drive, and give the drives a name they will appear with on the Dune home screen. You may enable the option to store the meta-data index for the Dune at any time - you can do this after adding your movie collection to the Collection Management, or you can enable it before you start adding your titles. To enable the meta-data storage for the Dune, open the Collection Management program, and from the menu select "Tools", "Options" and select the "Meta Data Storage" page. On the "Storage Environments" section, click the checkbox with the label "Store meta-data for HDI Dune". 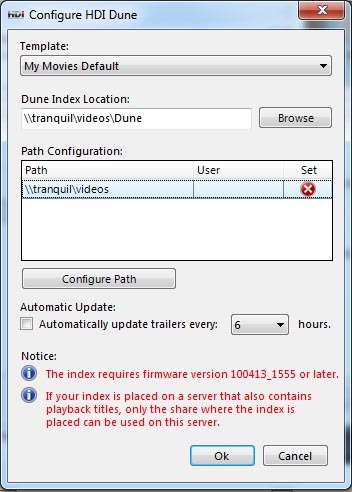 By clicking the checkbox you are prompted to configure the Dune index creation, which opens a dialog with the option to choose a template, a location for the index, a configuration list for the paths used by titles in your collection and an update to enable automatic update of the trailer section of the index. 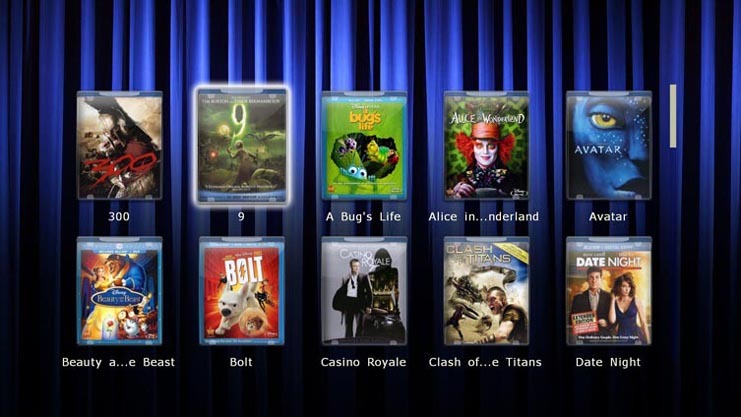 By default, the "My Movies Default" template is selected in the template option - if you have downloaded one or more custom templates, you can select the different templates here. A template is a set of graphics and configurations that determine the look of the index created allowing customizations of the index created. 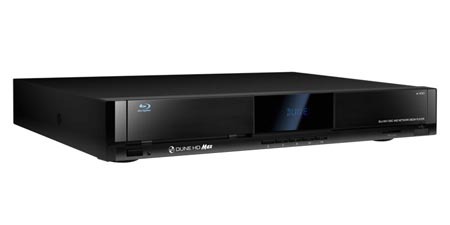 On the "Dune Index Location" you must select where to store the index - this can be any location available to the Dune, which means it can be stored on a network share that can be accessed by the Dune, or it can be stored on a harddrive or usb stick connected to the Dune. The "Path Configuration" is the most advanced part of the index configuration. If you have not yet added all your titles to the Collection Management program, it is recommended that you wait with the configuration of paths until you are fully done. The configuration dialog will go through each title in your collection and present the different paths used in the path configuration dialog. Next to each of the paths, a red or green icon in the "Set" column indicates if you have provided the information needed for the Dune to access the path. Click on each of the paths one by one and then click the "Configure Path" button. The various path configuration types are described below. The SMB path configuration type is available as a configuration option when you have added your titles from a network share. Using this path type, you are asked to supply the username and password required to access the share. The Dune will connect to the share with this username and password. The NFS path configuration type is available as a configuration option when you have added your titles from a network share. Using the NFS path type, you must configure the fully specified network path. It is only recommended to use the NFS path option if you are familiar with it's advanced configuration. The Named Share configuration type is available as a configuration option when you have added your titles from a network share. 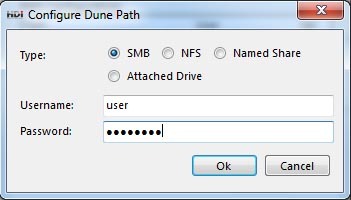 Using the Named Share path type, you must add the name of the share as it is added on the Dune. The Named Share path type allows you to maintain and configure username and password configurations on the Dune instead of in My Movies. If you use a named share, the share must be created on the Dune by using the "Pop Up Menu" button on the remote from the Dune home screen, and selecting the "New Network Folder". The Attached Drive configuration type is available as a configuration option both when you have added your titles from a network share and when you have added your titles from a local drive connected to the PC. Using the Attached Drive configuration, you will be asked to input a name for the drive. 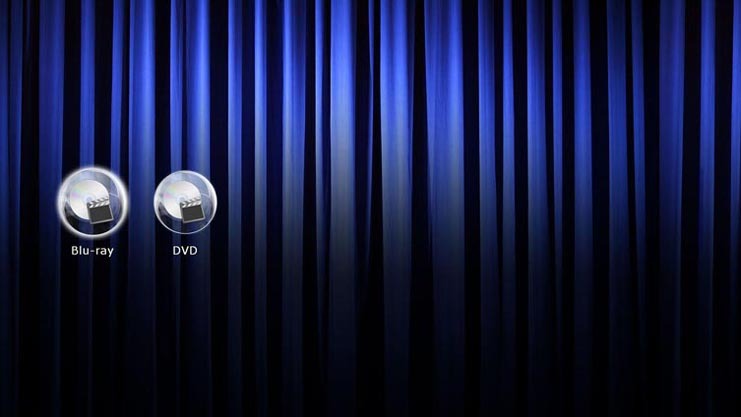 If you are using this option on a drive connected to the PC, you must disconnect the drive from the PC and attach it to the Dune - you will then see the drive with the given name on the Dune homescreen. 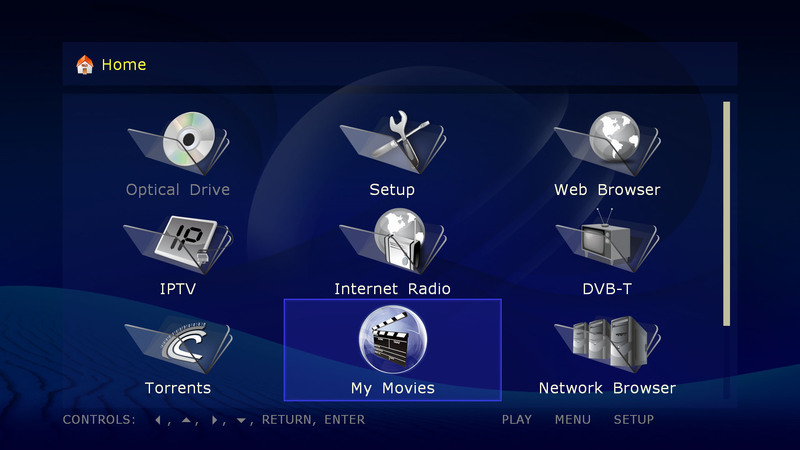 If you are using this option for a network share, the network share must be one imported directly from the Dune though the "\\Dune" network share - this option allows you to index titles directly from the Dune for all drives connected to the Dune itself. The name configured in both situations will be shown on the Dune home screen for the drive. The meta-data index is by default automatically kept up to date with any change made to the titles in your collection, but the trailer section requires to be updated to display new content. You can either do this manually with the "Update" button on the "Meta Data Storage" page, or you can enable the automatic update of the trailer section through the configuration. The Dune meta-data index is automatically updated each time changes are made to the collection, but after you the first time enable the option to store meta-data for the Dune you must run an update of the meta-data to have the index created. Similar, if you change the template or change the path configuration options, you must remove and update the full index for it to contain the changes. The update can be requested at any time through the same "Meta Data Storage" configuration page from where the Dune meta-data storage was enabled, by clicking the "Update" button in the bottom of the page. The update of the index will also update the content of the trailers section in the index. Notice that you can also enable the automatic update of the trailer section in the Dune configuration dialog. If you are having problems with your meta-data index, it is recommended that you completely delete the index, and run a full update - this takes a while, and should only be needed once. If you still are having problems after updating the full index, make sure your Dune is running the latest firmware, and that you are running with the default template - there could have been updated to the software that would require a custom template to be updated. Should you still be having problems, please create a thread on our forums, and we will help you solve the problem. The index is created in a hidden folder called ".DuneTitles" - if you are able to see this, you have enabled display of hidden files on the Dune. The setting can be found in "Setup", "Miscellaneous", "Advanced", "Hide system files" - please set this to "No".